It’s February and just this means many things. First of all, it’s Carnival: a crazy time to be in Venice, as we said here. If you have chosen to spend your Christmas in Venice, well, you are lucky. We have been in Venice these days and the atmosphere is magic, except for the freezing temperatures! BLACK PASTA WITH CHERRY TOMATOES, LEMON BERGAMOT AND BUFFALO MOZZARELLA. We are hosting some recipes by our friend and chef Matteo Zennaro!! Black pasta with cherry tomatoes, with lemon bergamot and buffalo mozzarella. The Doge’s Palace (Italian: Palazzo Ducale) was the residence of the Doge, the supreme political authority of the former Republic of Venice. Venice has a long and glorious history still alive in many traditions and in the heart of the venetians. You’ve probably heard it before (it’s not exactly a well-kept secret) Venice is beautiful! 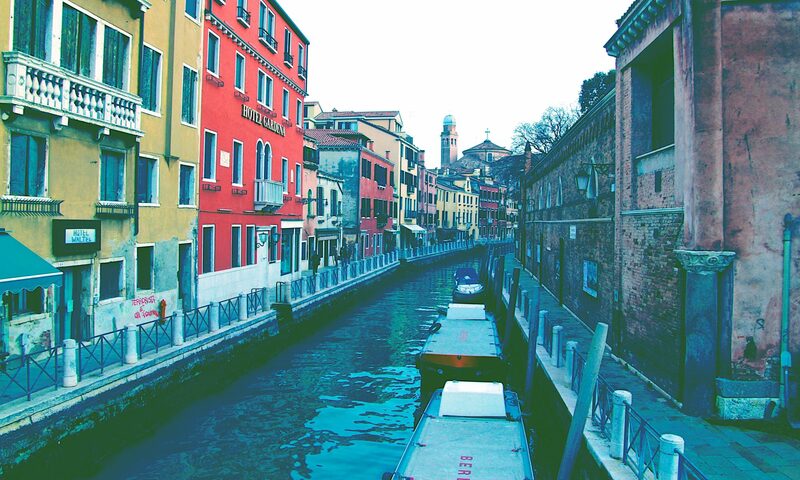 From the canals to the canvases, Venice has so much art to behold in its streets as well as in its museums. Here are my tips for visiting Venice and soaking in as much of the visual as you can. Recently, I was thinking to last year Redentore (here you find the post) and I noticed we had not written anything about Giudecca; the wonderful island hosting us that day.